Should I change the site's name? Greetings realists! Welcome to SYMBOLSPLZ!, the largest on-site collection of special characters. Symbols can be used around the site to improve the look of your fonts, messages, and titles. Need help creating a font? We also offer premade fonts and tutorials! So what are you waiting for? Come on in! Hi, guys! Long time no see. Hope everyone had a great New Years! Used with permission. All rights reserved. Content © realists. SYMBOLSPLZ! was started by realists on November 16th, 2009. At the time of our opening, there were already several symbol sites out there. However, they mainly contained only hearts, stars, letters, and wingdings/webdings. Yuck! Our goal is to provide you with a wide variety of symbols, to help make your fonts as unique as possible! Can't make a font? We also offer premade fonts and tutorials to help you out. We currently have a total of 1849 different symbols, and 35 different fonts. Q: Why are some of these symbols showing up as squares/question marks for me? A: You may not have the correct font installed. Q: What font(s) should I install so I can see the symbols? A: Arial Unicode and JG Aksara Jawa (supports the Private Use Area) are two you should install if you don't have them already. Q: Private Use Area? What's that? For this range, the Unicode standard does not specify any characters – anyone can produce a font and assign any characters they wish to the positions in this range. Q: If I don't know the codes for the symbols, can I still use them? A: Yes. You can just copy and paste them. Q: What font faces work on Neopets? A: As far as neoHTML is concerned, any single word font (such as arial) will work. Whether they actually display or not depends on if the viewer has the font installed on their computer. There is no such thing as a "universal font", hence the reason why web designers are advised to always end with sans or serif when specifying a certain font. Q: What browser do you recommend using? A: The only browsers I've tried are Internet Explorer, Firefox, Google Chrome, and Opera. Of those four I liked Google Chrome the best. Unicode, as well as Wingdings and Webdings, will work in that browser. Q: What are Neoboard Pens? A: Green Neoboard Pens are an NC mall item. They cost 300NC (or $3) each. 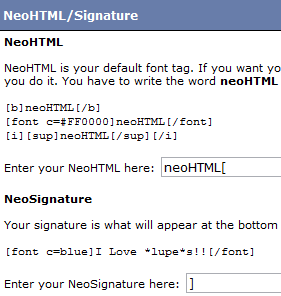 What it does is it increases the amount of characters you can have in your NeoHTML and NeoSignature by 25%. You also get one additional Neoboard preferences set. Meaning, you will have an extra avatar and font combination that you can use on the boards. 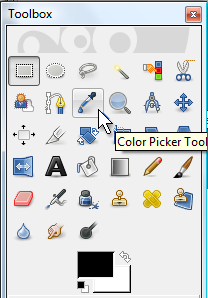 For every pen that you buy, you will have one more avatar and font combination that you can use. However, the 25% extra space only applies once. Q: Any tips for font makers? Note: Wingdings/Webdings will ONLY work on non-standards-compliant browsers such as Google Chrome, Internet Explorer and Netscape 4. If the character listed under "Symbol" appears the same way as the character listed under "Character", your browser does not support Wingdings/Webdings. The Wingdings/Webdings fonts are used by typing [font f=Wingdings/Webdings] neoHTML [/font]. The tables below for the Wingdings/Webdings fonts will include three pieces of information: the character, symbol and unicode equivalent. The character is what you type in place of "neoHTML" for the symbol to appear. The symbol is what appears when the character is typed. The tables below for each unicode range will include three pieces of information: the symbol, ALT code and HTML entity. The symbol can be copied and pasted anywhere. The ALT codes can be used almost anywhere on a PC. To use it, hold down the ALT key, enter the digits using the keypad, and release the ALT key. On a laptop computer, hold down the FN and ALT keys and use the keypad overlay. HTML entities can be used in petpages and on the neoboards. Do not redistribute these fonts, or claim them as your own. Feel free to change around the colors/text. For best results on the picture fonts, replace all the spaces with Alt + 255 (invisible character). I cannot copy and paste these for you to use, sorry. I do not take personal (non-shareable) requests. These are just basic templates that you can use and edit to your liking. No credit necessary. If you need help, check out the tutorials section for some tips and tricks! Welcome to the tutorial part of the site! Here you will find guides on creating fonts, as well as different ways of using the symbols listed here. If you are having trouble understanding a step, hover your mouse over (Help?) at the end. Doing so will make a screenshot appear below the step. Hopefully this clears up any confusion! How to change your font. f is for font face. Any single word font face (such as arial or verdana) can be used. c is for font color. You can use an actual color name like black, or use a hexadecimal code like #000000.
s is for font size. You can use any size from 1-4. [b] [/b] - Creates a bold text. [i] [/i] - Creates an italic text. [u] [/u] - Creates an underlined text. [center] [/center] - Centers your text. [br] - Creates one line break. [p] - Creates two line breaks. [sub] [/sub] - Creates subcript. [sup] [/sup] - Creates superscript. There are thousands of different font faces out there! Surely you can use any of them in your font, right? Wrong. You can only use single word font faces, such as "arial", in your font. There is also a chance that whoever views your font may not be able to see it as you intended it to be. This is because you need to have the font installed on your computer to be able to view it. Below is a list of "web-safe" fonts, with a preview of how they look normally, as well as how they look bolded and italicized. These fonts should be installed on most computers. Getting rid of the signature line. Fonts automatically align to the left. If you want your font to be centered, use [center] [/center]. If you want your font to be aligned to the right, use either Alt + 255 (invisible character) or a white font to push your text to the right. What does it mean to "eyedrop a color"? 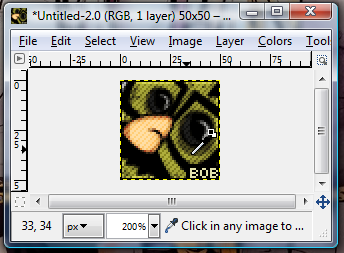 This just means that you take the eyedropper tool in a program, and grab the hexadecimal code of a color on an image. Eyedropping is a useful tool for matching your font color with your avatar. The tutorial below explains how to eyedrop in GIMP, but the guide is translateable for other programs. 1. Open up a program with an eyedropper tool that lets you grab the hexadecimal code. We will be using GIMP for this tutorial. Note: When assigning a color for your font, make sure you leave a number sign (#) in front of the hexadecimal code. Otherwise, your font will look red (or some other strange color) in different browsers. Picture fonts are usually made with the symbols listed under "Block Elements", but other kinds of symbols can be used as well. You can't space multiple times using the spacebar, so instead you use Alt + 255. This creates an invisible character, allowing you to space more than once. There really isn't much else to it. Start out by creating simple shapes such as a square or triangle, then move onto more complicated shapes like a diamond or heart. It could take a while to get the right shape, but don't give up! So you've spent hours designing that perfect font. You're about to add that last character in when you find out that... oops, you don't have any room! For those without Neoboard pens especially, the limit on character space can be a very frustrating thing. Fear not! Here are some tips to help you save room. This code takes up 44 characters. There are several things that can be done with this code to shorten it. The code now takes up 39 characters. The second thing you can do is use the name of the color instead of the hexadecimal code. #0000ff = blue. "Blue" is three characters shorter than "#0000ff". The code now takes up 36 characters. Fonts will automatically be a black, size 2 arial font when you do not specify anything. Since we want a blue, size 2 arial font, we can remove "f=arial" and "s=2" from the code. The code now takes up 26 characters. A lot shorter, huh? 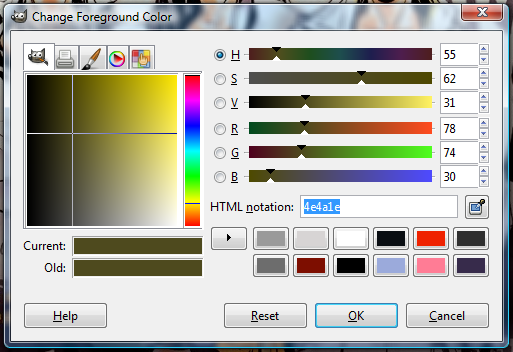 Hover your mouse over each color swatch for the hexadecimal code. Alright, so you find a font... but you don't have the avatar to match it. :( Never fear! SYMBOLSPLZ! is here to help! Please read this page if you're not sure how pound/transfer lending works. Do not keep my pet active, and do not zap the pet/petpet. Do not release the name of the pet for safety reasons. Avatar: Name of the avatar. How to Obtain: What to do to receive the avatar. Method: Whether the pet will be lent via pound or transfers. Other info: If you can adopt the pet under four months, if another avatar comes with it, etc. If you want to be pound lent, check my userlookup. If my status says online, mail me. If you want to be transfer lent, just neomail me and I'll add you to the lending list for the date that we decide on. How to Obtain: Feed your Pink pet any item that contains the word "popcorn". Other info: Adoptable by under four month accounts. Comes with Mazzew. How to Obtain: View the lookup of your pet whose petpet is a Mazzew that is 221+ days old. Other info: Adoptable by under four month accounts. Attached to a pink pet. How to Obtain: View the lookup of your 100+ days old Snow pet. How to Obtain: View the lookup of your Grey pet. Method: Transfer. Check my lookup for lending list.